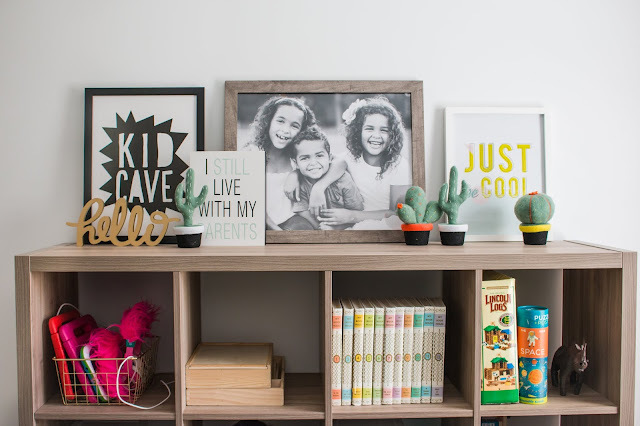 This post was inspired by my absolute love of the Land of Nod (Remember, I got Nadia's party activities from there?). And my absolute reality of a budget. One that does not include $44 blocks. Even on Christmas. I love "look for less" posts! And I love writing them; finding similar items in lower price brackets is such a fun challenge. And pretty much my reality. 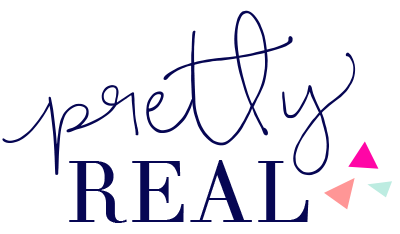 (And all of our realities at some point right?). Now of course I love the "look for less" features where one item is $5 and the other is $5000 and they look exactly the same. I'm going to apologize in advance that this is not one of those posts. BUT it's super realistic and all the price differences (from $7 to $30) add up--especially at Christmas time. 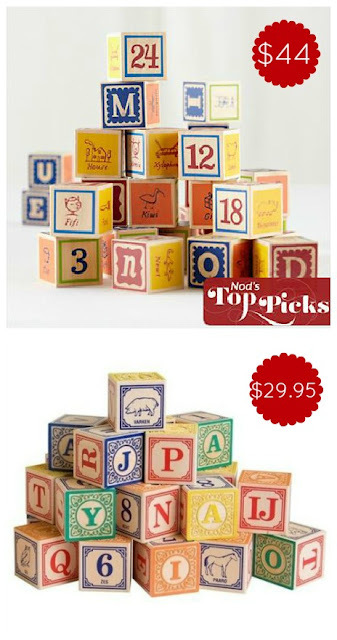 Not to mention that if you're looking for kids' gift ideas, I think you'll love some of these! Wooden Noah’s Ark Shape Sorter. Le Toy Van. I'm not gonna lie--I LOVE this one. But I bought the less expensive version. See, I'm practicing what I preach! 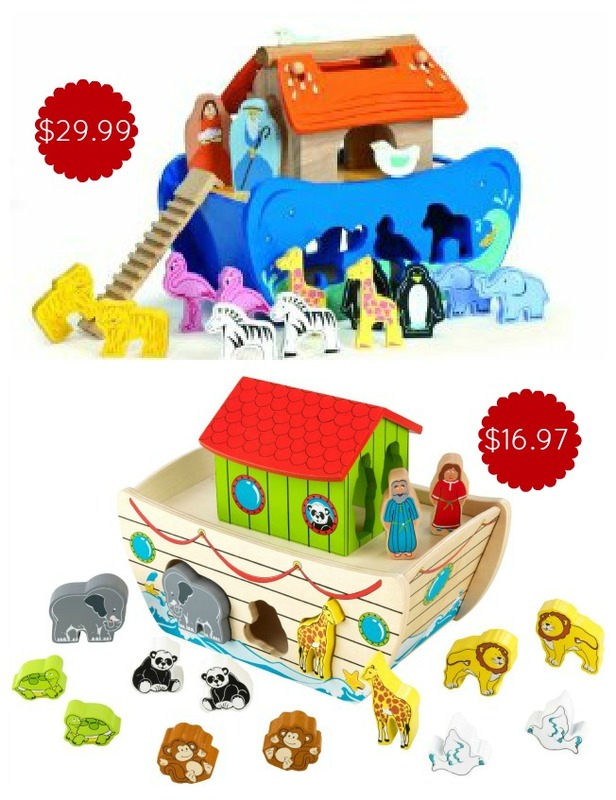 Wooden Noah’s Ark Shape Sorter. KidKraft. By the way, this one was on Zulily a few weeks ago for even less (I'm kicking myself for not buying it then) and is currently selling on Amazon for over $25)! Pink Parker Play Chair in pink. Land of Nod. Avalon Chair in Petal. KidKraft. This is one of those where I can barely tell the difference. Really. Wooden Play Kitchen. Circo. $69.99. Wooden Kitchen- Pink. KidKraft. $99. Again I LOVE the one on the right. 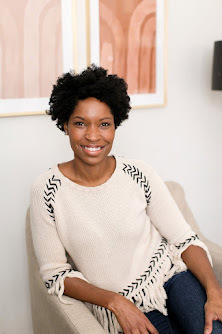 But Genevieve was peeking over my shoulder and saw a ton of kitchens on my Pinterest "gifts for girls" board. And guess which one she liked the most? Yep, the least expensive one. I have to note though that while it says "wooden," it's really wood composite. 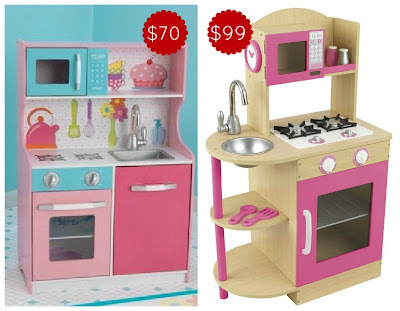 Even so, such a great deal for a modern "wooden" kitchen. Yep, I bought it. Rainbow Stacker. Melissa and Doug. The Stacking Ring Maker. Land of Nod. These look almost identical! 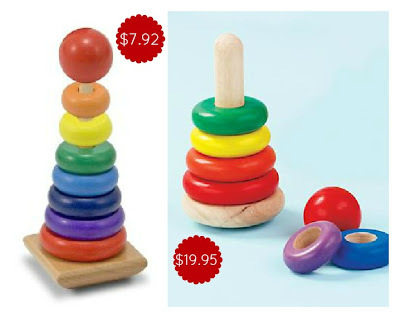 I love them both and am fighting the urge to buy the Melissa and Doug version. Nod Blocks. $44. I'm a broken record: I LOVE these. I just seriously love Land of Nod. Now in some cases the differences are more obvious. And they might be worth the extra $15. But in others, the differences are minute...and while you might notice them, I'm guessing your two year old won't. Looking for more inexpensive toys? 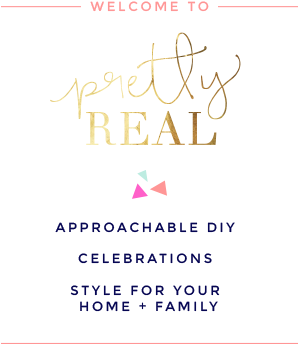 Check out Zulily! I purchased a few toys from there a few weeks ago and am so glad I did! Stay tuned for more gift guides.